A couple of nights ago a surprising storm hit Austin. I usually don't count on much of an impact any time there is a severe weather alert. They happen fairly frequently but usually result in a whole lotta nothing. Not so this time. 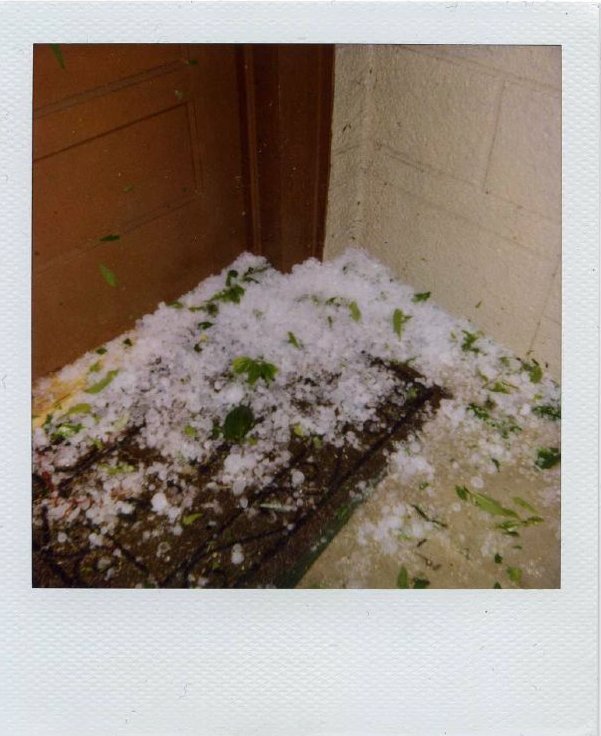 My house was essentially assaulted by nature, punched by giant hail and slapped around by 50mph winds; I felt like I was on the other side of a high powered popcorn kettle (or Sean Connery's hands). Status report: light bruising, no broken bones thankfully. Some folks did not come out so lucky; my whole neighborhood experienced a black out, except for me and the next door neighbor somehow. Others lost windows, signage, and even suffered the annihilation of a car. Overall, none of this compares to what's going in a ton other places in the world, and for that I'm truly thankful. Austin is not perfect but something tells me it's one of the last stops on the ride to the end of the world.